SANTA ANA, CA (November 20, 2018) – Yokohama Tire Corporation has notified NHTSA of the need to recall one size of the RY023™ commercial tire. 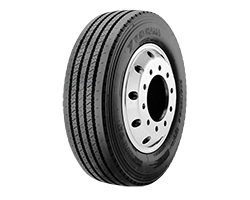 The 295/75R22.5 14G, part number 02396, was manufactured at Yokohama’s plant in West Point, Mississippi with a production week of 2318. A total of 529 tires are being recalled. The recall, initiated in accordance with NHTSA regulations, was issued due to a manufacturing anomaly which could potentially result in a tread separation. For questions or assistance, contact Yokohama Consumer Affairs by calling 1-800-722-9888 #2, by email recall@yokohamatire.com, or visit our website at www.yokohamatruck.com/commercial/owners-circle/recalls.